It seems logical — theater attendance would go up if tickets were cheaper. Of course, probably everyone reading this site is well aware of the very often low pay that everyone involved in a theater production makes, even those working in the two biggest theater markets, Broadway and the West End. Often there are just too many hands in the cash register and not enough cash, especially for shows that aren’t hits. And even if a show is a hit, ticket prices rise because of supply and demand, as evidenced by ticket prices for blockbuster shows like The Producers and Book of Mormon. So while it would be wonderful for theater tickets to be cheaper, the reality of that happening is… well, not very likely. While I think Spacey does have a valid point, I think it’s worth pointing out that theater has outlived the radio, movies, and television, so I don’t think iPads are going to be the death blow. Similarly, prices for tickets to concerts and sports games continue to rise despite the fact that both are available on a variety of much cheaper media formats, and one could argue that segments of those industries aren’t exactly healthy either. There’s also the influence of popular shows like Glee and the variety of singing competition shows on television, all of which have introduced songs from musicals to new generations of listeners. While I wouldn’t argue that Broadway is doing healthy business — attendance has yet to reach pre-recession levels, only partially because of fewer productions — it’s not all grim. 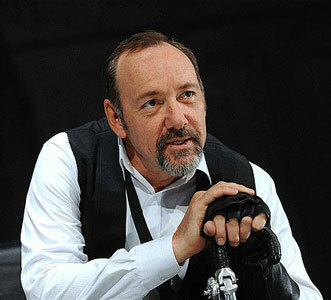 Still, Spacey is correct that more could be done to promote theater to younger audiences. But what’s your point of view? Does theater need “saving,” and, if so, how can currently problems be fixed?